This paper presents reflections on the application of evolutionary delivery methodologies to a dynamic, fast-paced Web development environment. Conclusions and opinions in the paper are drawn from practical, industry-focused experience under the time-tomarket pressures of the Internet industry. The methodology described offers a mix of rapid application development, evolutionary delivery and joint application development adapted to the unique climate of the Web. Aspects of projects utilizing the methodology are compared to other projects for evidence of improvement. 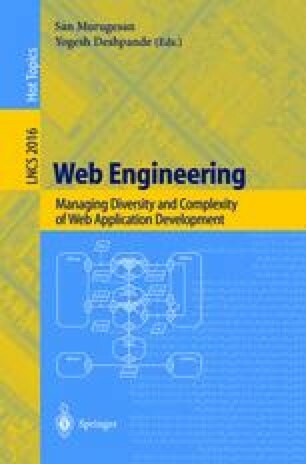 The paper reinforces the need to approach Web development with a pragmatic reverence for its inherent uniqueness, but without losing sight of the lessons learned focuses intently on the requirements definition and early stages of Web projects.